Joining the augmented reality hype, Google launched ARCore for Android devices and just recently announced that it’ll expand its functionality to a lot more users. But, that’s not the limit of its AR projects. The company is also exploring opportunities to bring AR to devices other than smartphones. In an interview with The Telegraph, Rick Osterloh, senior VP of Google’s hardware division, shed light on the company’s hardware plans. And no, we’re not talking about phones but something a little old, but also new. Osterloh confirmed that Google is already looking at AR applications beyond smartphones. He added that the company is thoroughly researching this space, trying to build a successor to Google Glass. The company is currently toying with a bunch of ‘different form factors’ and is nowhere close to announcing any products in this category. We’re trying to determine what the best future will look like for other kinds of ways to experience AR than just phones. Osterloh believed that Glass was a ‘very interesting’ product that was way ahead of its time, when it was first launched in 2013. The technology used for making the Google Glass – the specs with a camera and a miniature glass screen – was first-of-its-kind but major privacy concerns, a high price and lack of third-party development led to its failure. However, both hardware and software technologies have significantly advanced over the past few years, along with a growth in interest for AR. On this, Osterloh says that the technology is still in nascent stages and it’ll take a few years before it matures and reaches a wider audience. 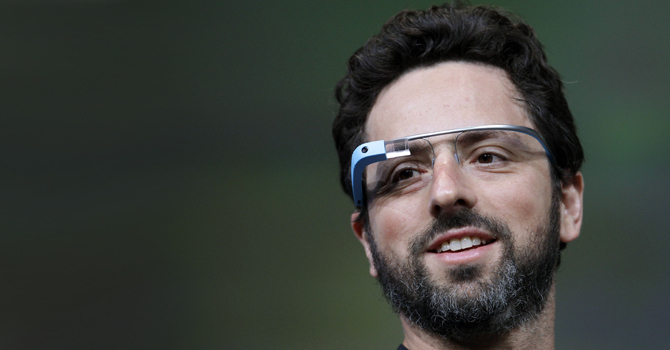 But Google isn’t planning to stop its research and we could see a Glass successor really soon. We’re going to invest for a long period of time in that area as the technology catches up to where people want it to go. Earlier, consumers might have imagined that AR experiences were only possible through a bulky headset or a sensor-packed smartphone similar to Google’s Project Tango devices. But, the release of ARCore and ARKit have taken the AR experience and brought it to smartphones, making the hardware base smaller. But, this is just a baby step in pushing the technology to the forefront and the logical conclusion of AR devices could be in HMD or HUD-based wearables, be it a Google Glass-like eyewear or a contact lens.